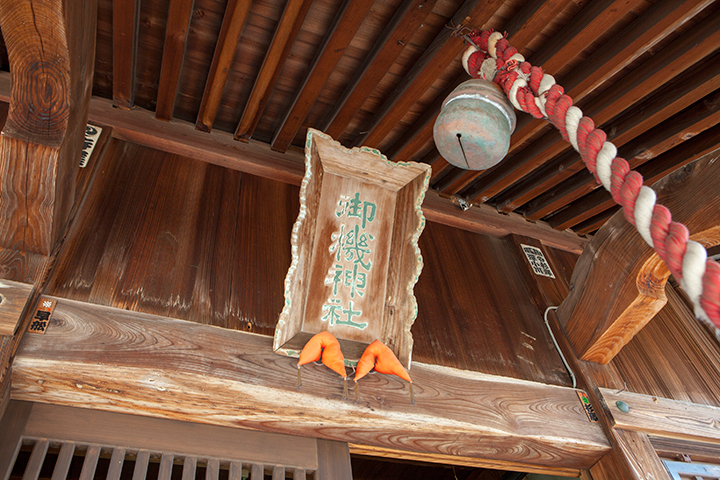 Why Not Visit A Unique Original Shrine of Tokamachi ? The annual celebration on 6th June at Hata Shrine. Hata Shrine called Kuroshime Jinja locally. Tokamachi is the one of the most famous kimono producing places in Japan. 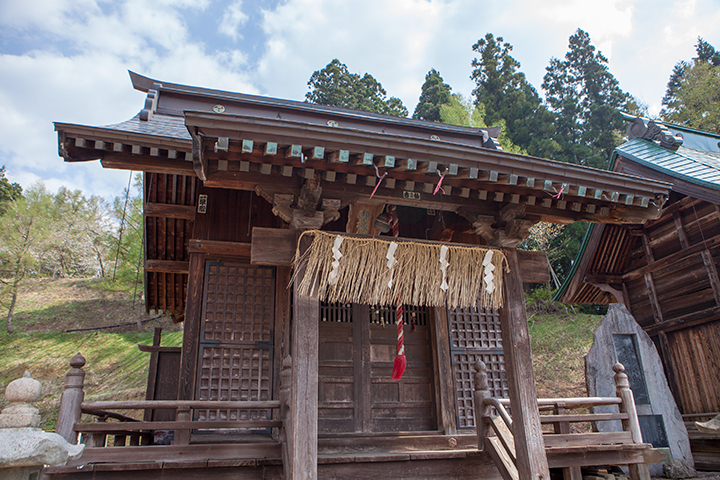 The weavers in Tokamachi have been worshiping the Goddess of weaving called Kurohime for a very long time, but Hata (loom) shrine was built in 1793. They have had the annual celebration on 6th June praying for the prosperity of weaving industry. It is the day of rest for all the weavers in Tokamachi. 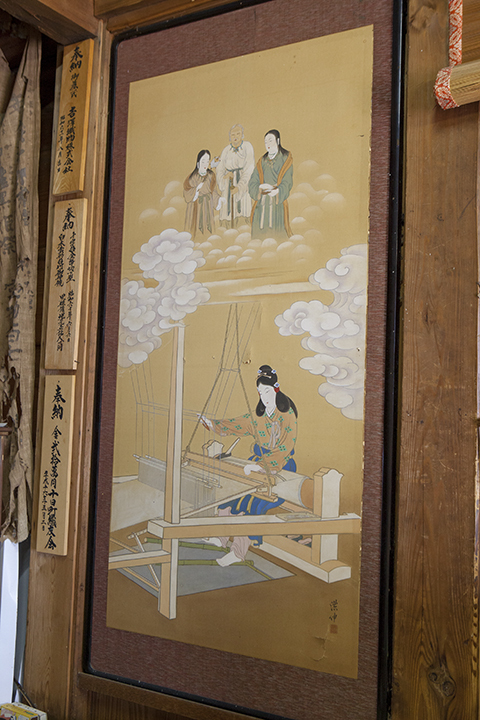 New weavers visit the shrine and tie their first weaved cloth to the sliding doors’ tiny frame. The cloth has its weaver’s name on it. And they pray for improving their weaving skill. The shrine is located in the Suwa shrine complex. It is built on the top of a hill and it’s only a five-minutes walk from the entrance. 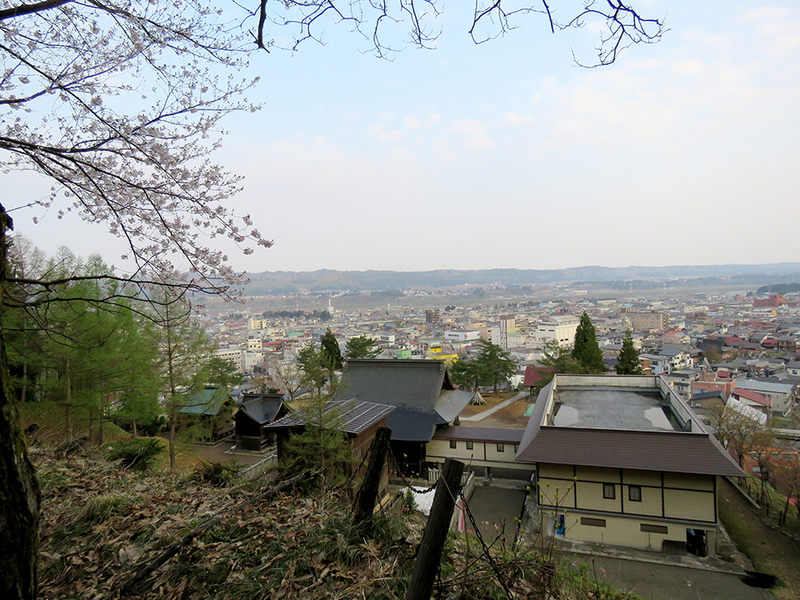 You can view the entire Tokamachi city from the top. It’s absolutely magnificent! There are some historical spots in the area, such as a stream called “Sarashigawa”. Weavers used to wash the cloth when it was done in the stream in the old days. There are some large stone monument engraved historical stories near by. You can rent Tokamachi kimono from the building called “Cross-ten”. 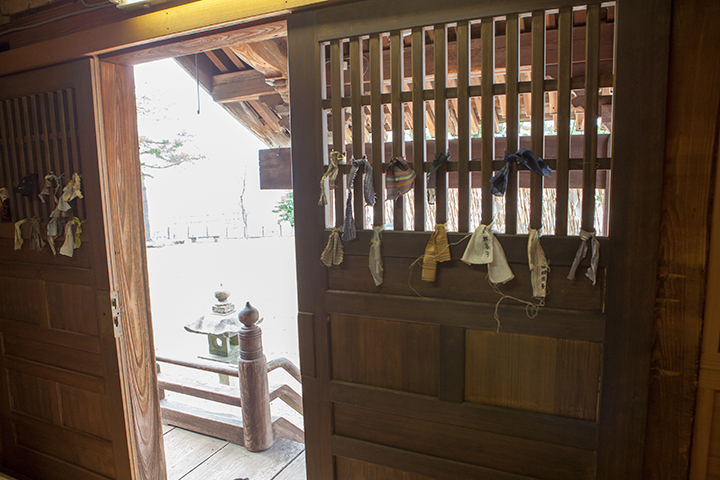 Why not take a walk and visit the shrine in kimono? You may also enjoy shopping and relax in Onsen which are all located in the same mall. For further details, please see the following websites.